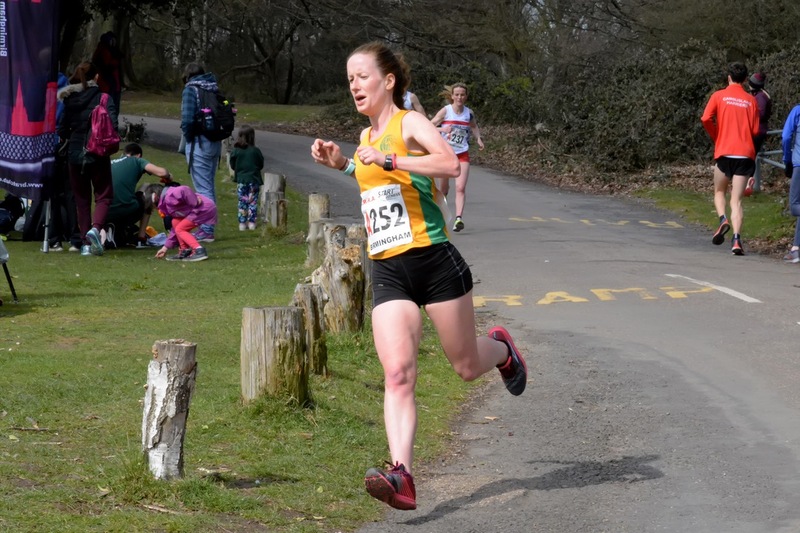 The Spring edition of the National Road Relays returned to Sutton Park in Sutton Coldfield this year. 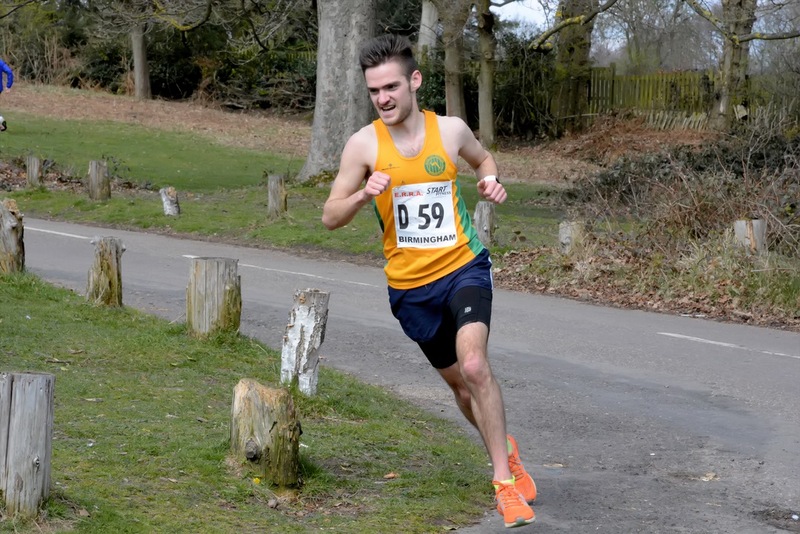 This is the flagship event in the road relays calendar, arguably the pinnacle of the sport for a club like ours. And after a 27-year absence, Steel City Striders were back. 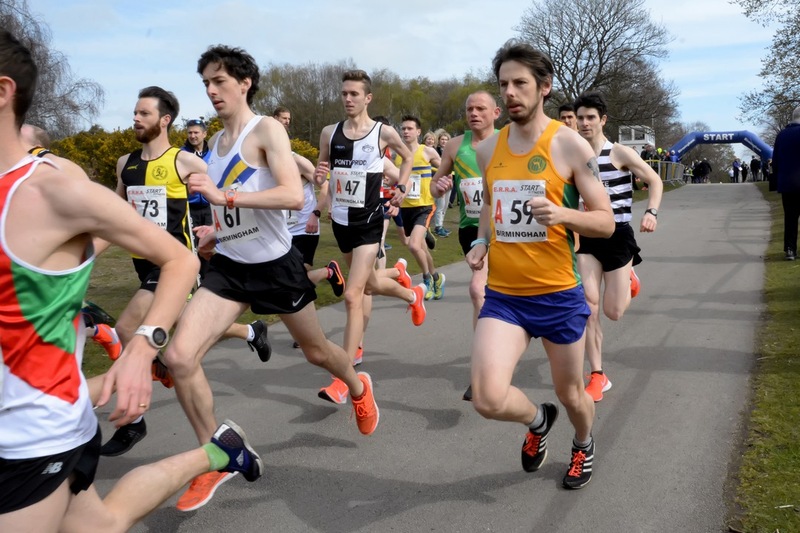 The format is similar to the more familiar Northern Road Relays: teams of 12 men or 6 women run a mixture of long and short legs. Here the legs are a bit hillier and a bit further—about 8.5k for the long legs and 5.1k for the short—but that surely plays to our strengths. This is a chance to run in a small field with some top athletes: Alex Yee, Dewi Griffiths, and Jessica Judd were all there, and the numbers racing at any time are much more like Castle Parkrun than Hallam or Hillsborough. Comment was made about the prevalence of skinny athletes in skimpy outfits (“most of the other women were just wearing a crop top and pants!”). The standard of competition here could make taking part a bit daunting for the faint of heart, but we’d earned our place, assembled good teams, and were ready to do the club proud. I say “we”, but I was sitting this one out, and a double-whammy of illness and injury meant I didn’t even make the trip. Instead, I just loaded the teams onto the coach and set them off, then texted like an anxious parent to see how things were going and give helpful advice (“have you got your numbers?”, “don’t forget you need a packed lunch”, “make sure everyone goes to the toilet before you leave”). The teams all performed admirably. 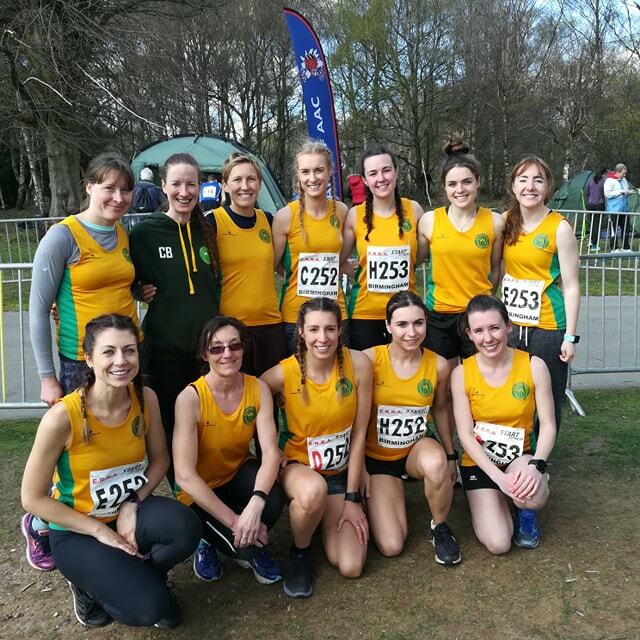 The women’s A team did best, taking 22nd place of 48, finishing just a couple of minutes behind Hallamshire. A great result to build on 14th at the regional event. The women’s B team finished 34th, with a quarter of the field behind them, almost exclusively A teams. Another excellent performance. Solid running may only have got the men’s team 51st out of 65, but when you think about how strong a team we had to put out and how hard it had to work to qualify from the Northerns, this is put into perspective: sometimes you just have to imagine all the teams who would have been behind you if they’d been allowed to compete to get a true sense of how you’ve performed. There were several stand-out performances that need highlighting. Andy Norton ran a phenomenal first leg for the men, even if it did only earn him 62nd place of 68. He covered the 8.5k in 30:44, our fastest time of the day. Caroline Brock ran the same first leg for the women’s A team in 33:05, which put her in the top half of the stellar field, 26th of the 57 starters. Kristoff Boynton showed he’s still getting faster with a lightening quick 17:09 short leg. Fran Roberts’ 19:17 anchor leg, taking 5 places for the women’s A team at the end of the race, was pretty special too. Our newbies also deserve a special mention. Abbie Pearse ran one of the legs of the day completing a B team long leg in 35:39. Izzy Carter and Caitlin Robertson followed her with strong legs to bring home the B team. All three joined the club within the last month or so, so it’s great to see them representing us already. Katie Morris put in an excellent relay debut too, and Jo Taylor ran really well on the B team first leg to keep us in the pack. There are others I could pick out, but maximum hero points go to Nick Scarlett, who you can tell is a knight in shining armour just from his name, and who saved the day by stepping in to complete the men’s team when an injury left us a man short 15 hours before race start. Days later I’m still really proud of how everyone did. A year ago we’d just revived taking part in the road relays as something that we do (hat-tip to Tom Halloway). Here we were one of the best-represented clubs at the flagship national event, turning in some really credible performances. I hope this will continue to grow, as I think we’ve only just started to show what we can do, but whether it does or not this was a real achievement. Thanks to everyone who was a part of it. The women’s race was won by Leeds City AC in 2:10:40. Full results are here. The men’s race was also won by Leeds City AC, in 4:12:21. Full results are here.